A Babble of Objects: Poems. Available directly from your local independent bookstore as well as Amazon and elsewhere! If objects could talk, what sort of things would they say? 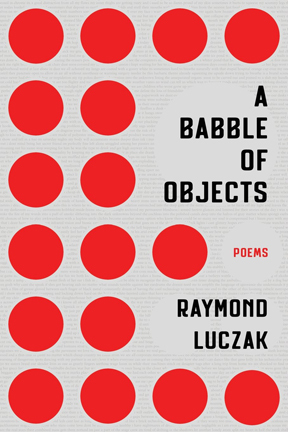 Through a rapid series of short poems Raymond Luczak, author of seven acclaimed poetry collections such as Mute (A Midsummer Night's Press) and The Kiss of Walt Whitman Still on My Lips (Squares & Rebels), imagines the inner lives of inanimate objects. We learn what it's like to be a dressing room mirror, a bobby pin, a discarded mattress, a stapler, a credit card, a hearing aid, and a bagful of marbles among other things.